Are you interesting in learning about the requirements to become a chef? To work as a chef, it is necessary to complete formal career training as well as have a passion for preparing great food. Find out more about what's involved about preparing to work in this rewarding profession. Meeting the requirements to work as a chef depends greatly on the work environment that most interests you. Just as nurses have many different specialities, chefs may also focus in specific areas. The requirements depend on the type of chef you want to be. A commis chef is an apprentice who works in different areas of the kitchen for a certain duration. Working in this position can be a very valuable as a learning experience as the commis works under a speciality chef. 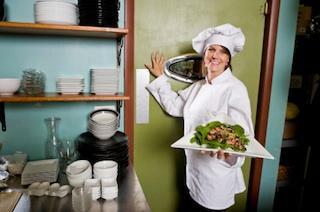 Executive chefs are leaders responsible for hiring and coordinating staff and preparing food. Professionals working in this capacity are responsible for planning everything necessary to run the kitchen. Garde managers are cooks who specialize in preparing and presenting all cold foods, including salads, canapés and cold dressings and sauces, to name a few. Pastry chefs specialize in baked goods, desserts and confections. Job duties include ordering ingredients for recipes. Personal chefs prepare meals for private households and they may be responsible for purchasing groceries and kitchen supplies, depending on their employer. A saucier specializes in making sauces. Sous chefs works closely under the executive chef and supervises staff, prepares food and plans activities. Educational programs may require students to complete internships or apprenticeships. Some restaurants and hotels offer training and job placement for employees interested in becoming chefs. The ability to cook well is a major facet of working as a chef but it is necessary to handle the stress of working with multiple recipes simultaneously. Many chefs work very long hours and advanced positions require the ability to keep inventory, order ingredients, evaluate food quality and manage staff members. A chef has to have a sharp mind paired with the ability to work quickly. Many successful chefs learn their most valuable lessons on the job and advanced positions in this field may require many years of experience. A position as a personal chef is ideal for someone who prefers to work independently and at a slower pace. Those interested in learning more about the requirements to become a chef can benefit from visiting the American Culinary Federation for certification programs, schools and job listings.